Grammarians, wordsmiths, teachers, writers, and other word nerds delight! We have two fantastic resource books to give away today from Ten Speed Press | Penguin Random House. The first guide will help you tighten your vocabulary and figure out if you’re using the right word the right way. (Think: affect/effect) The second book will help you write sentences in the correct order for meaning, or the most poetic order for lyricism. 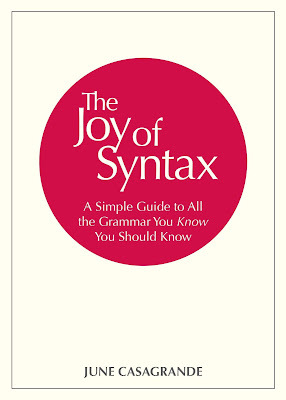 (Think: “What light breaks from yonder window?” or “What light from yonder window breaks?”) Yes, I’m talking about syntax. It’s the acrobatics that make our sentences varied and interesting. Both are must haves for your writer’s toolkit. They are clever in content, compact in size (and price), and witty in tone, which makes them the perfect gift for your writerly friends with the holidays right around the corner. Spruce up your vocabulary and give your sentences a workout with these two books! Enter the Rafflecopter form at the bottom of this post for an opportunity to win these two gems. Even the most erudite among us use words like apocryphal, facetious, ironic, meteorite, moot, redundant, and unique incorrectly every day. Don’t be one of them. Using examples of misuse from leading newspapers, prominent public figures and famous writers, among others, language gurus Kathryn Petras and Ross Petras explain how to avoid these perilous pitfalls in the English language. Each entry also includes short histories of how and why these mistakes have happened, some of the (often surprisingly nasty) debates about which uses are (and are not) mistakes, and finally, how to use these words correctly … or why to not use them at all. By the end of this book, every literati will be able to confidently, casually, and correctly toss in an “a priori” or a “limns” without hesitation. Kathryn Petras and Ross Petras, a sister-and-brother writing team, are the authors of many non-fiction books including the New York Times bestseller You’re Saying It Wrong, and compilers of the bestselling page-a-day calendar The 365 Stupidest Things Ever Said (with over 4.8 million copies sold) and its counterpart The 365 Smartest Things Ever Said. Their work has received the attention of, or has been featured in, diverse media outlets including the New York Times, the Chicago Tribune, the Wall Street Journal, Cosmopolitan, the Washington Post, the Huffington Post, Bustle, The Atlantic, the London Times, and McSweeney’s. They have also been guests on hundreds of radio and tv shows, including Good Morning America, CNN, Fox & Friends, and NPR’s Here and Now. They are currently working on a podcast for NPR affiliate KMUW entitled You’re Saying It Wrong. 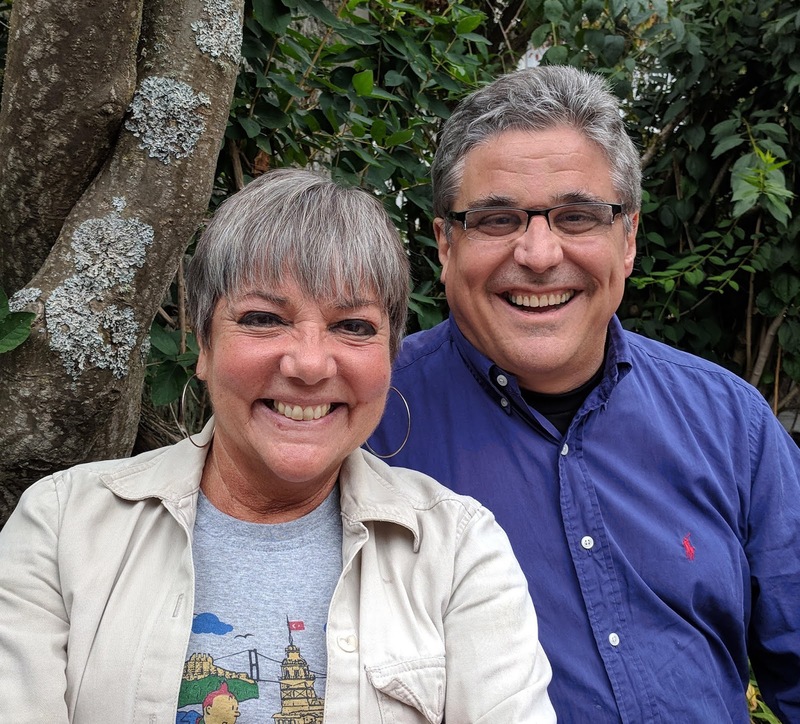 Language columnist June Casagrande presents a fun and breezy guide to everything a grown-up interested in grammar needs to know. When it comes to grammar, it seems like everyone—even die-hard word nerds—feel they "missed something" in school. The Joy of Syntax picks up where sixth grade left off, providing a fresh foundation in English syntax served up by someone with an impressive record of making this otherwise inaccessible subject a true joy. With simple, pithy information on everything from basic parts of speech and sentence structure to usage and grammar pitfalls, this guide provides everything you need to approach grammar with confidence. 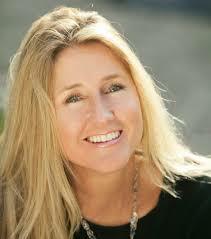 June Casagrande’s syndicated grammar column, "A Word, Please," runs in newspapers in five states. She is the author of four grammar books, including It Was the Best of Sentences, It Was the Worst of Sentences and The Best Punctuation Book, Period, and is the face and voice of the Grammar Underground weekly podcast. She works as a freelance copy editor for the advertising department at the Los Angeles Times and for several local and national magazines. Visit her website, Grammar Underground, to find out more: http://www.grammarunderground.com. 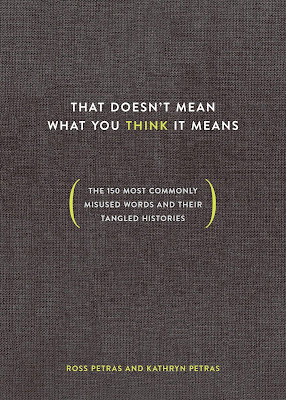 Enter to win a copy of That Doesn’t Mean What You Think It Means: The 150 Most Commonly Misused Words and Their Tangled Histories by Kathryn Petras and Ross Petras, and The Joy of Syntax: A Simple Guide to All the Grammar You Know You Should Know by June Casagrande! Fill out the Rafflecopter form below. We'll choose a winner next Monday, October 15th. Good luck! Looks like a great read and a very practical book. These look like great additions to any library! I would love to have these books, my family competes to see which one of us is the chief of the grammar police. We are brutal! Thanks for the chance to win. Anxious to read. I think everyone needs to improve their vocabulary and grammer....including myself, I, me...see what I mean? Hate it when I don't know a grammar/syntax rule! Thanks for the opportunity to win helpful books! Thanks for the awesome and very interesting giveaway! I love these kind of books! This would be fantastic! Early holiday gift... for myself! Thanks for the chance.